During the past few days, I was looking for short new TV series to be seen via live streaming. My decision fell to this series which was telling the story about the classic Wizard of Oz. The first season was only having 10 episodes which was shown in US TV network in early 2017. So it was a real brand new series. Well what was it all about? Let us find out next. Dorothy (Adria Arjona - The Belko Experiment) was a nurse who was living in a very small city of Lucas in Kansas, USA with her adoptive parents named Aunt Em and Uncle Henry. One night, while visiting the person who was said to be her real mother named Karen (Gina Bellman - Leverage TV series etc), a huge tornado hit the city. Though she managed to hid Karen inside the storm cellar, Dorothy who locked herself inside a police car was flown over by the tornado. When the tornado passed, Dorothy realized that she was no longer in Lucas city. With a police gun, some medicines and the police dog (later on called Toto) to accompany her, Dorothy started to wander around the area and look for a Wizard who supposedly could her return to her home. During the trip, she found a man who was hung on like a scarecrow and hurt by some people. He seemed to have lost his memory and could not even remember his own name. So Dorothy who decided to help him, named him as Lucas (Oliver Jackson-Cohen) like the name of his home town. Together they continued their journey towards the city of Oz. Meanwhile, the wizard (Vincent D'Onofrio - Jurassic World, Daredevil TV series etc) who ruled Oz was suspicious of the object and the woman who came into their world through the tornado, so he instructed his right hand man Eamonn (Mido Hamada) to look for the person and kill her to ensure the safety of Oz. Things also become complicated with the witch of the West (Ana Ularu - Inferno etc) who was also searching for Dorothy due to some incident involving her. Another witch from the North named Glinda (Joely Richardson - Snowden, Nip/Tuck TV series etc) was also searching for Dorothy due to some other reasons. There were also other important characters who would later have great impact on the story line named Tip (Jordan Loughran) the mysterious boy locked by a healer and his very good friend Jack (Gerran Howell), including Jane (Gina McKee - Notting Hill) and also Langwidere (Stefanie Martini - Prime Suspect 1973 TV series). So could Dorothy reached the Wizard's location and return home? Would she be able to avoid the chase of everyone? And what was Lucas' actual background? Find them all in this interesting series. This series was rather unique. I found that in the first episode, it was really intriguing to see what would happen next. However, the following episodes felt a bit less exciting, till the middle of the series where it started to pick up again. It was truly exciting especially in the last 3 episodes which were really building up to the huge "battle" at the final episode and of course the surprising twists. It was also really interesting to see the characters that we know in the Wizard of Oz story revealed in the 10th episode. The special effects of this series were surprisingly quite good. The CGI were done not too bad and even better than some of those B class movies. Their main plus side was definitely the costumes. They were made quite exquisitely and in fact, the producers seemed to be putting a heavy emphasis on making sure those costumes really looked good on the characters. In my opinion, the stars of the series were obviously Vincent D'Onofrio and also Julie Richardson as the Wizard and Glinda respectively. 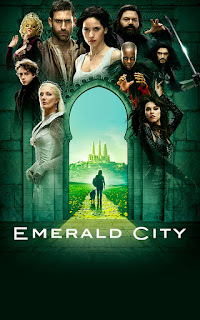 Now if you have seen the original Wizard of Oz or another movie which was told from the point of view of the Wizard (2013 version Oz the Great and Powerful with James Franco as the main character), this series was telling the story in a different way. There were quite a lot of changes made from the book, or the other versions, but this one actually was a unique way of re-telling the story. My only regret about this series was that it was discontinued after only 1 season. Hence we did not get to see how the story would unfold till the whole events of the story were completed. Anyway, if you are looking for a unique reimagining of the Wizard of Oz story, then this one was certainly an interesting option. Though you have to be ready with the disappointment of unable to see the end of the story. 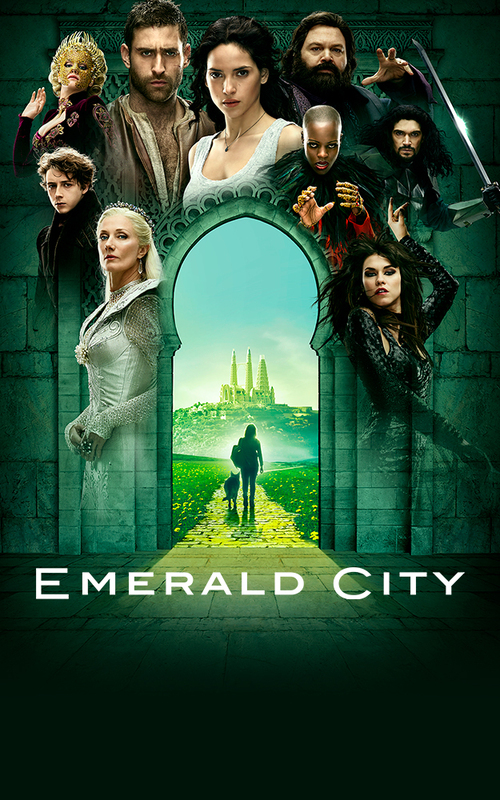 But if you are not interested in watching wizards, witches and magic, then this one certainly not for you. The choice is yours.